The NL-52 (Class 1) and NL-42 (Class 2) were developed to eliminate the trouble of reading instruction manuals when conducting measurements. Large and easily viewable three-inch LCD color display. 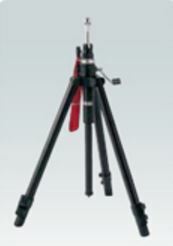 The unit (except for the microphone) is water-resistant, which means that it is unaffected by sudden rain showers. You can use rechargeable batteries to help cut down on waste, making this an environmentally friendly product. ​Three-inch LCD screen with a touch panel. High resolution screen is easy to see indoors or outdoors and even in the dark. No paper manual is needed. User instructions and a help function can be easily accessed on the device. * Mounting the All-weather windscreen or rainproof windscreen helps raise the water-resistant performance of the entire unit,so that the microphone will meet IPX3 specifications. Guaranteed water-resistant to at least level IP54 (resistant to spraying water). Helps reduce failures caused by sudden rain showers. In these new models it is possible to use rechargeable batteries which make these meters environmentally-friendly. 24 hour continuous measurement is possible (when using eneloop® or dry alkaline batteries). ​･ Please use the dedicated charger to charged eneloop® batteries. ･ eneloop® is a registered trademark of Panasonic group. Additional functions can be added, such as simultaneous logging of raw data (100 ms Lp) and processed data(Leq and other indices), frequency analysis reverberation time measurement and long-term data recording. ​The NX-42EX is supplied on the 512 MB SD card. When NX-42EX is installed*, NX-42WR, NX-42RT, NX-42RV and NX-42FT can be added. *The NX-42EX program cannot be uninstalled. This function enables the continuous acquisition of instantaneous values and processed values during both USB and RS-232C communication. This is a convenient function for users who can design their own control programs, where data has to be transferred continuously from the sound level meter to the computer. The NX-42WR is supplied on the 2 GB SD card. The 2 GB SD card can be used as a memory card after installing the program. to process sound levels simultaneously. Recorded data can be played on computer and used for frequency analysis. ​The NX-42RT is supplied on the 512 MB SD card. 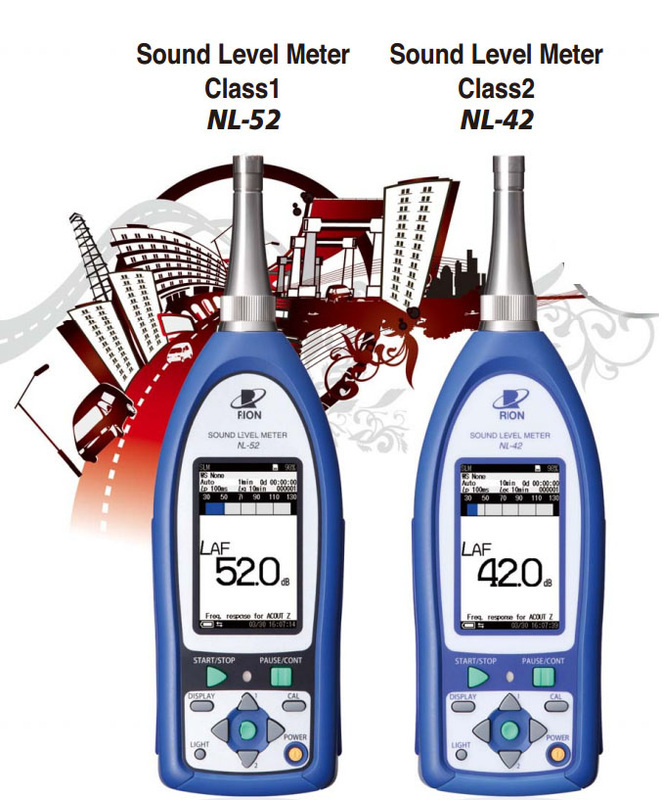 By adding the NX-42RT program to the NL-52/NL-42, octave band and 1/3 octave band analysis can be performed. Saved analysis results can be loaded and shown in an overlay graph display together with current analysis data. NC curve graph display and NC value calculation/display are also possible. Using the AS-60RT software, data can be utilized and managed on a computer. ​The NX-42RV is supplied on the 512 MB SD card. By adding the NX-42RV program to the NL-52/42, reverberation time measurements can be performed. The measurement method is the interrupted noise method.This program allows storage of reverberation time decay curves, T20/T30 calculation,Txx calculation (reverberation time calculation based on a user-defined interval) and averaged reverberation time results displayed on the SLM screen. The NX-42FT is supplied on the 512 MB SD card. By adding the NX-42FT program to the NL-52/NL-42, FFT analysis can be performed.The analysis frequency range is 20 kHz, with 8 000 spectrum lines (200 displayed).Saved analysis results can be loaded and shown in an overlay graph display together with current analysis data. Maximum zoom ratio is x40, and the top list screen can show up to 20 lines. This windscreen is designed for outdoor installations. It helps to reduce wind noise and is equipped with rainproof features that satisfy the IPX3 water-resistantspecifications. It is used with a microphone extension cable. This screen protects the microphone against rain for a short period of time.The rainproof performance of this windscreen is designed to satisfy the IPX3 water-resistant specifications. This Sound calibrator conforms to IEC 60942 (JIS C 1515), Class 1, providing a level of performance sufficient for calibrating the precision sound level meter. This software allows you to load stored WAVE files from a RION sound level meter, vibration meter or data recorder. Octave, 1/3 octave, and FFT analyses can then be performed. Playback of the real sound files is also possible. ​Data management software for environmental measurement AS-60 enables the graph display of measurement data, arithmetic processing, excluded sound processing, preparation of reports, output of files, and playback of real sound files. the NX-42EX is also needed. * Only auto store data are supported. AS-60RT is for managing NX-62RT/42RT or NA-28 data on a computer.